Fabled by Marie Claire A very masculine way to scent your skin. 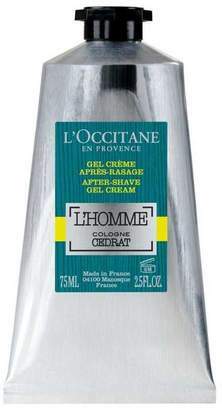 The zesty and aquatic notes of L'Homme Cologne CÃ©drat infuse this after shave cream-gel, to leave a fresh and invigorating scent on the skin. It helps to: Moisturise and soothe the skin after shaving. Reduce feelings of irritation and tightness caused by shaving. Invigorate the skin and protect it against environmental aggressions. Apply the after shave cream-gel to dry skin after shaving. Its smooth, non oily texture sinks into the skin immediately. For reasons of hygiene this product cannot be returned if unwrapped, unsealed or used, unless faulty.